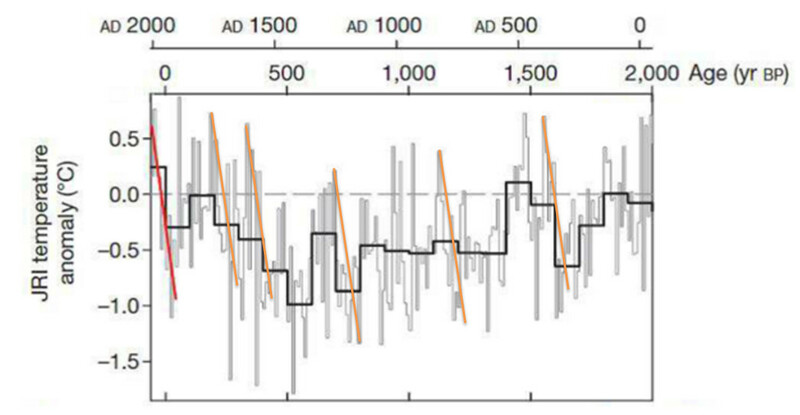 At Wattsupwiththat there is a post by Sebastian Lüning The Medieval Warm Period in Antarctica: How two one-data-point studies missed the target. Lüning has the following quote and graphic from Mulvaney et al. 2012, published in Nature. But the late Bob Carter frequently went on about the recent warming being nothing unusual. Using mainstream thinking, would you trust a single climate denialist against proper climate scientists? There is a simple test. Will similar lines fit to data of the last two thousand years? It took me a few minutes to produce the following. Bob Carter is right and nine leading experts, plus their peer reviewers are wrong. 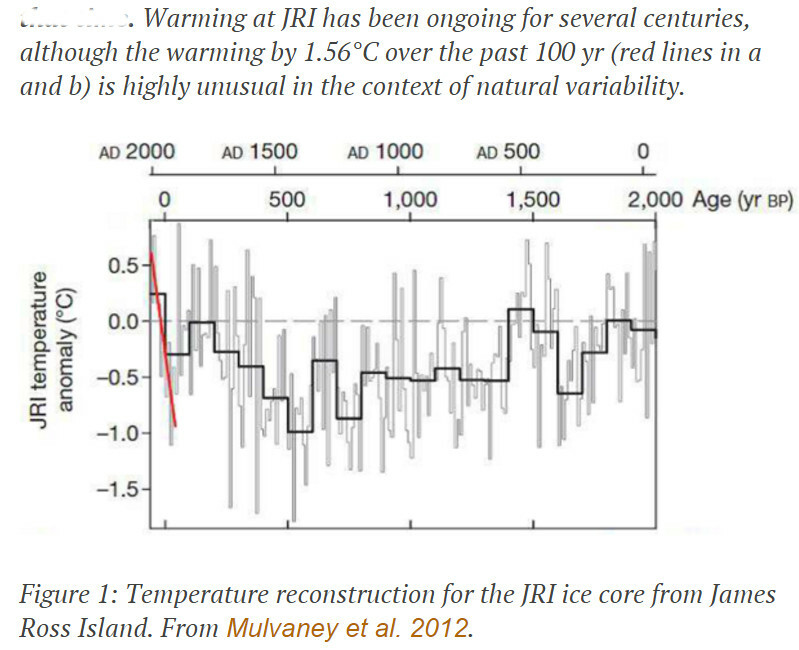 From the temperature reconstruction there were at least five times in the last 2000 years when there were similar or greater jumps in average temperature. There are also about seven temperature peaks similar to the most recent. It is yet another example about how to look at the basic data rather than the statements of the experts. It is akin to a court preferring the actual evidence rather than hearsay.